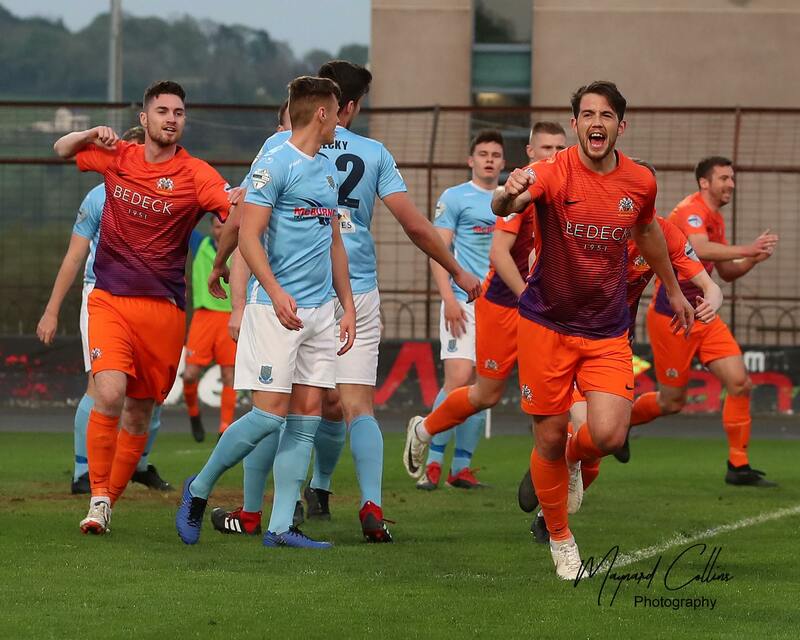 Although Andrew Doyle is back in the squad after missing out last week due to a back injury, he has to settle for a seat on the bench as Gary Hamilton sticks with the same eleven that started the Irish Cup win against Dungannon Swifts. That means we’ll see James Singleton again at centre back alongside Caolan Marron as they face their former teammate Eoin Bradley in the Coleraine frontline. 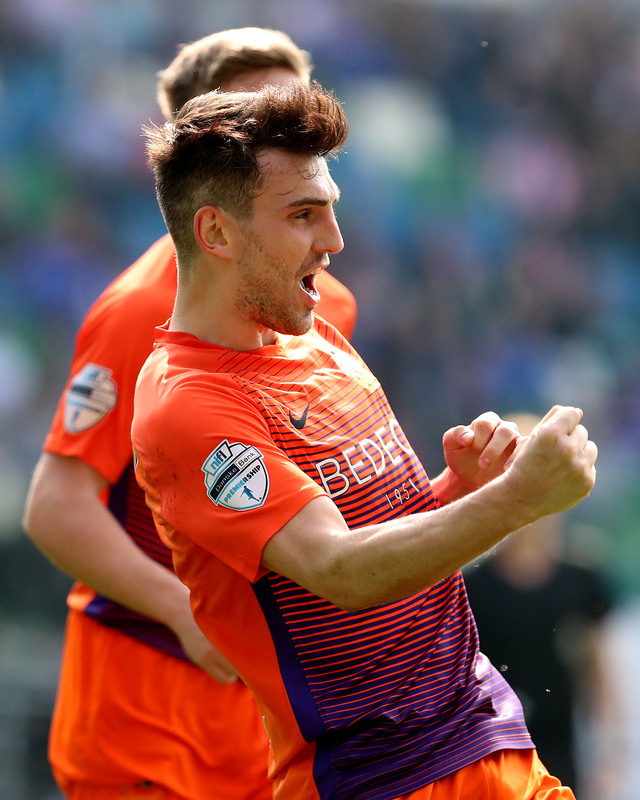 The game began in breathless fashion, literally end to end stuff and inside the first five minutes there were two attempts by each side. 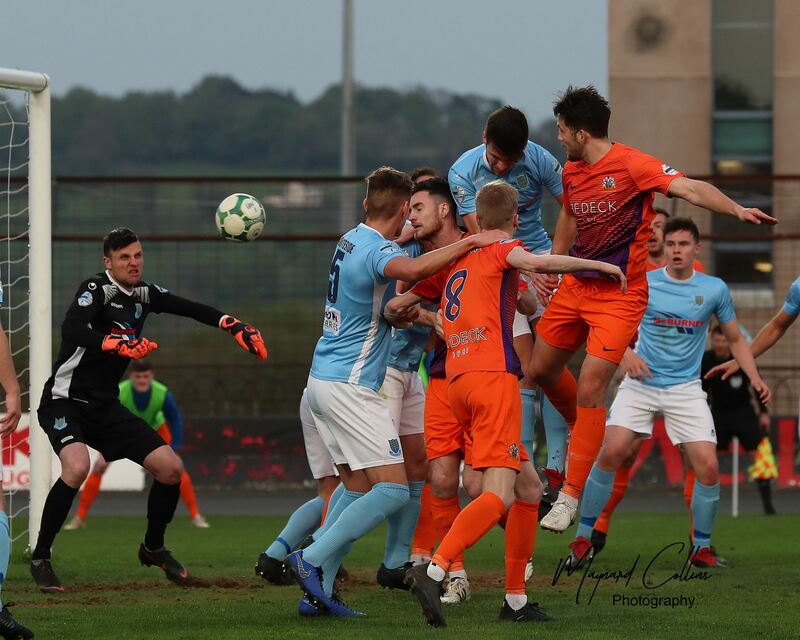 Johnny Tuffey first denied Bradley after McGonigle had cleverly found him in the box with a back heel then Chris Johns gathered a low shot from Stephen Murray. A weak back header from Sykes gave McGonigle a chance but again Tuffey was equal to the challenge, rushing off his line to make a block. 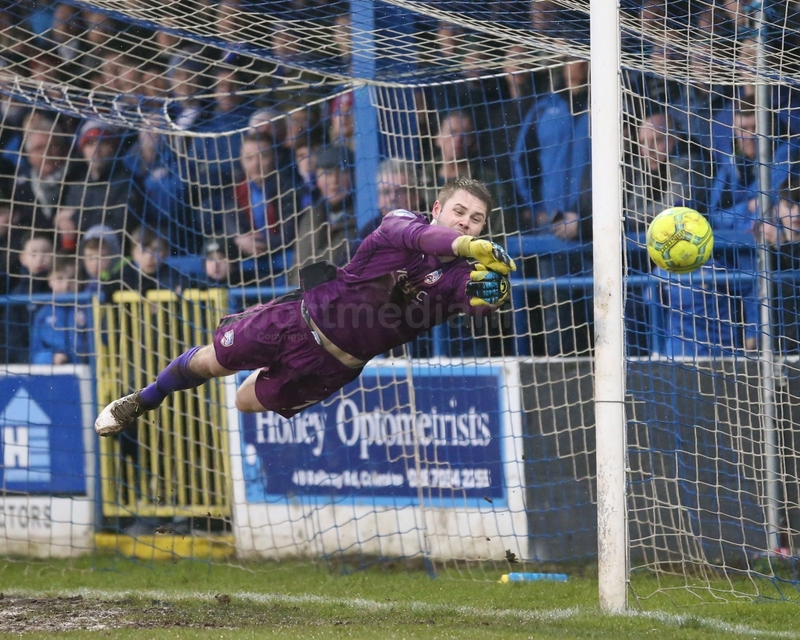 Johns then made a routine save from a low shot by Joel Cooper. 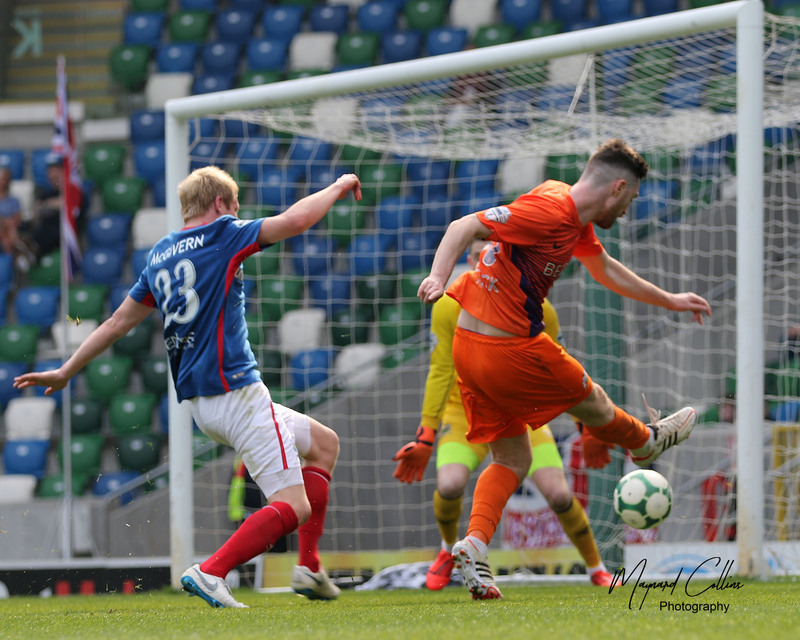 Glenavon best effort of the half came on 37 minutes when Johns dived to his left to turn Sammy Clingan’s free kick round the post. 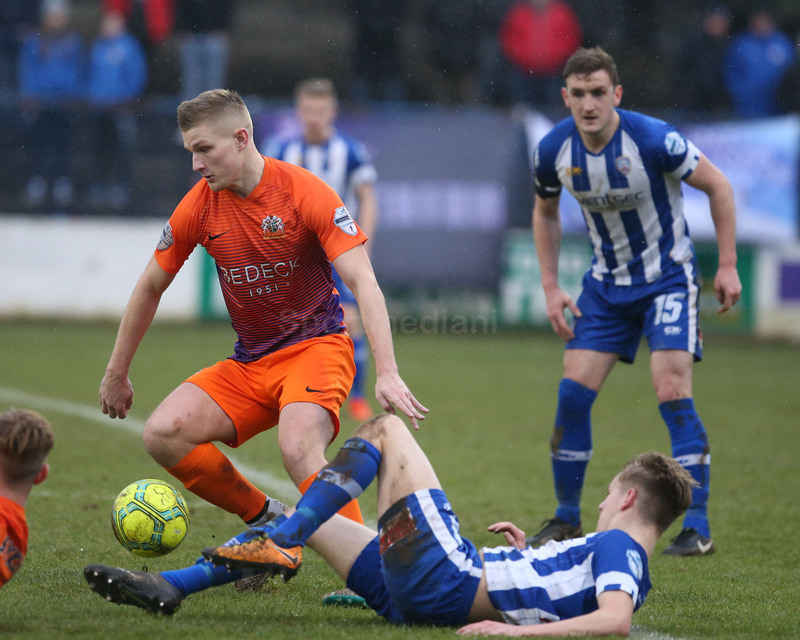 The major talking point of the half came just before the interval when Caolan Marron was adjudged to have tripped McGonigle in the box, to the dismay of the Glenavon support at that end. 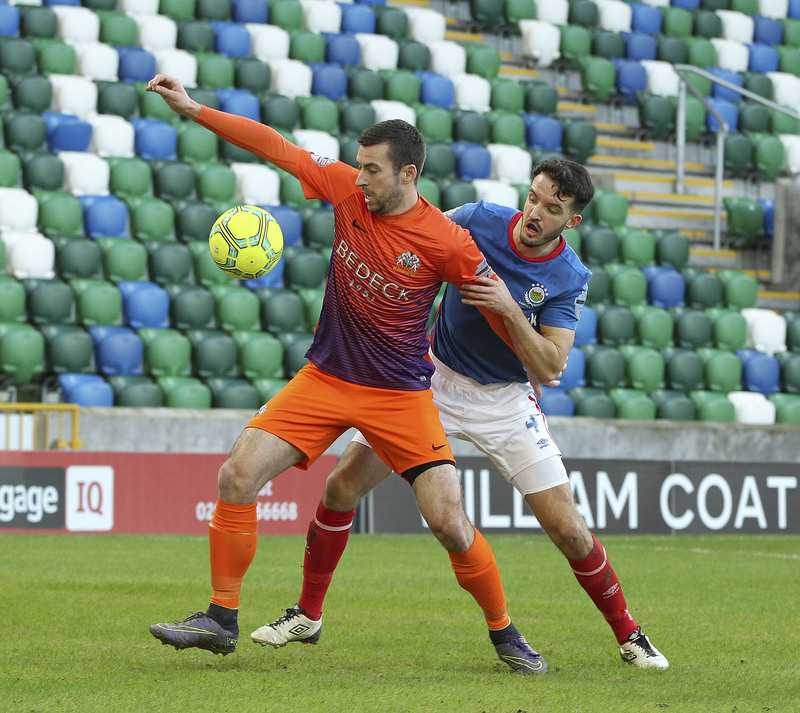 Marron was booked and Tuffey joined him in the refs book for his protests but the Glenavon keeper saved the penalty by Ciaron Harkin. GOAL! 53: 0-1 Andy Hall stabs home from close range after Rhys Marshall nodded Bobby Burns’ corner down into the six yard box. 86: Cooper crosses to Griffin and the ball breaks to Mitchell who is denied by a great save in the muddy goalmouth by Johns. 87: RED CARD Mark Sykes is sent off for a sliding challenge on Bradley – perhaps a yellow would have been the correct decision taking the conditions into account?